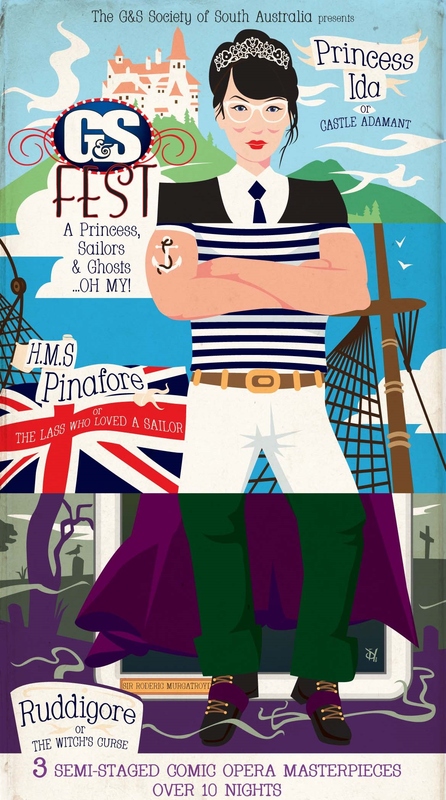 Our first offering for 2015 is a triple treat for G&S fans – not one, but three complete comic operas from the masters of mirth and merriment, Gilbert and Sullivan. Over 10 nights, The G&S Society of SA will present 3 semi-staged operas. This exciting cycle includes H.M.S. Pinafore (4 performances), Princess Ida (3 performances) and Ruddigore (3 performances).